Definitive Plumbing and Heating is one of the best plumbing and heating service providers in Maryland and Virginia (Residential and Commercial area). We hold over 25 years of experience in offering quality plumbing services in Washington DC and different cities of Maryland including Columbia, Ellicott City, Rockville, Silver Spring, Bowie, Clarksville, Potomac & Bethesda. We are a team of expert plumbers who understand even the smallest details of plumbing and heating services that further helps us to give our customers trustworthy and safe services. Our 24/7 availability make us one of the topmost choices for our customers who can trust us for emergency services without delay. We are just one call away from our customers who need any kind of plumbing and heating service even in odd times. Water heater repair, gas installation, main sewer service, tankless water heater, renovations and drain cleaning are some of the services, we offer to our customers in Prince George’s County, Montgomery County and Howard County and different cities of Maryland. Our knowledge and experience jointly make us perfect for your plumbing services. While working for you, we keep three things in our mind: Functionality, Safety, and Aesthetics. We are appreciated by our customers for the quality of services we offer. You can contact us at given numbers for our quick and high-quality services. Whenever you need to hire the best plumbers in MD and Virginia, you can call us at (301)679-5797. We will be happy to serve you. We consistently train our team of plumbers to polish their skills and equip them with the cutting edge technology to make sure that our clients can get the best services from us. When you hire us, we will offer every single service with quality assurance. We understand that it is always a great peace of mind to know that the company you are going to hire offers the quality assurance on its services. With a fast turnaround time, we are the best company to hire in the emergency situations. 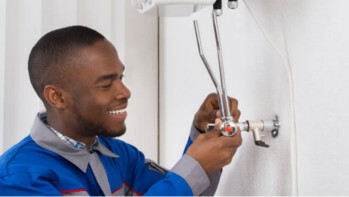 Whenever you need to hire the best plumbers in the DMV, you can count on us because we have a great reputation for serving the locals with our specialized services for a long time. We provide our Clients with top of the line craftsmanship all while upholding Safety And Industry Standards. 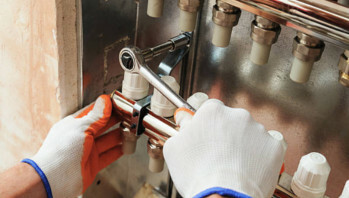 We install, Service and Maintain plumbing and mechanical applications with licensed & trained craftsmen.